Panasonic India Pvt. 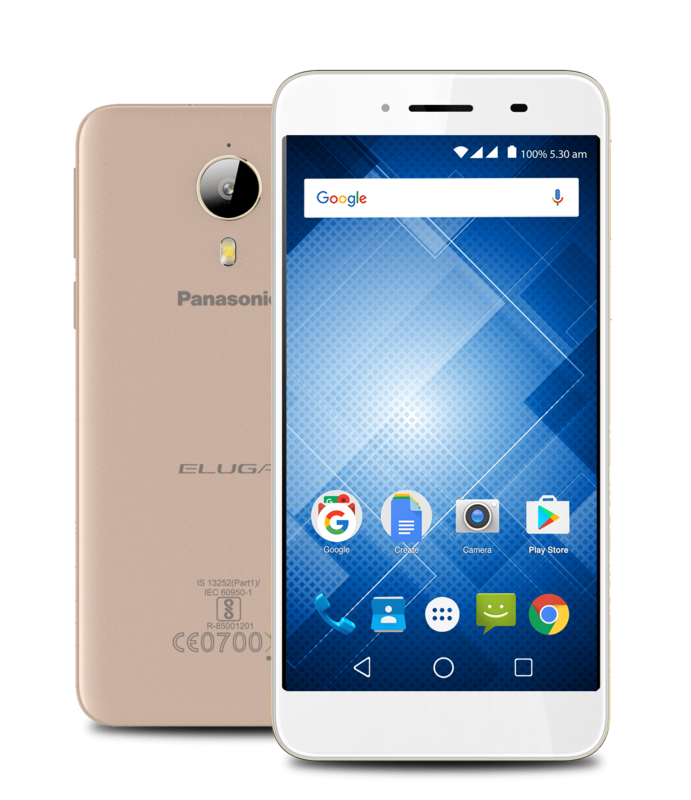 Ltd, a leader in innovation and technology, unveiled their New mobile Panasonic Eluga I3 Mega which comes plethora of features which are sure to delight you. Bringing the life-like picture quality and enthralling big screen experience in its 4G-enabled Eluga series. The Eluga I3 comes with an 5.5 Inch display with 2.5D curved HD IPS gives you a smooth touch experience. The 4000mAh battery makes sure that you dont run out of power and makes you forget the hassles of frequent charging and provides movie streaming and superior browsing experience without any interruptions. The Eluga I3 Mega comes with a full metal body that has been designed to stand out in the crowd. It features a 5MP Selfie camera efficient for video calling and lets you shine among your friends with beautiful profile pictures. With brilliant 13MP Auto focus rear camera with a pixel size of 1.12 µm and 80 degree wide angle field of view it lets you capture amazing pictures and makes sure that your memories remain beautiful. The stylish smartphone comes with a 3GB RAM and 1.3 GHz Quad-Core Processor which offers a smooth and fast experience while multi-tasking. 16GB internal memory expandable up to 128 GB lets you store your favourite movies, TV shows and pictures. Eluga I3 Mega allows access to media files on the go with OTG support feature and lets you connect a USB drive which ensures secure transfer of your data. The new power packed model is enabled with Android 6.0 Marshmallow and Android-for-work which offers added security and lets you keep all your data safe and secure. Keeping the you in mind, Eluga I3 Mega also provides features like 4G VoLTE, Dual sim , GPS and Wi Fi.